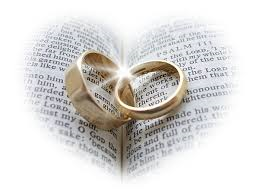 God intended marriage to be between a man and a woman (Genesis 2:24). Wives are to submit to their husbands. Respect and love them as the head of their house (Eph. 5:24; Titus 2:4). Wives are commanded to be good homemakers, to love their children and husband, and be obedient so the word of God is not blasphemed (Titus 2:4-5). God intended for husband and wife to work as a team (Gen. 2:18). We are not to separate what God has brought together (Mark 10:9). Will hard times come? Sure. No marriage is perfect. There are going to be arguments, and there will be times where you don’t get along. However, by following the plan that God has set in place, your marriage can and will succeed. God designed marriage to be a good thing. When God saw that man was alone in the Garden of Eden, He said, “It is not good that man should be alone” (Gen. 2:18). Everything else that God had created was good. But man being alone was not.